Northern Ireland’s Danielle Hill set a new senior record on day three of the Irish Open Swimming Championships. Lisburn’s Daniel Wiffen won the 800m freestyle in a new junior record time. Hill also took bronze behind Erin Riordan in the 100m freestyle final while Scotland’s two-time Olympian Hanna Miley took her third gold medal of the week as she won the 200m butterfly in 2:13.39 with Dubliner Ellen Walsh finishing second to take the national title. 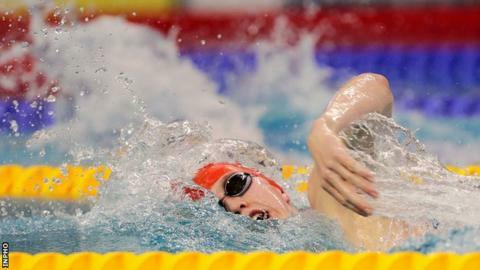 On Thursday, Northern Ireland teenager Conor Ferguson took the gold in the men’s 50m backstroke.